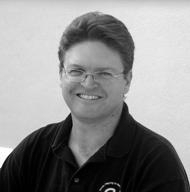 Matthew Brewer has studied Tai Chi & related practices since 1994 and directly with Bruce since 1999. He is certified in seven Energy Arts subjects and is a full time internal arts teacher. As well as regular open classes, he runs the Tai Chi for Chronic Pain service for the National Health Service throughout East Kent, England. He holds a PhD in Theology and Religious Studies from the University of Kent at Canterbury where for many years he taught Chinese Philosophy on two M.A. programmes.